Kitty McCormick, Director, Lending & Capital Management at Coutts, was the winner of the 2016 Women in the City Future Leaders Award. 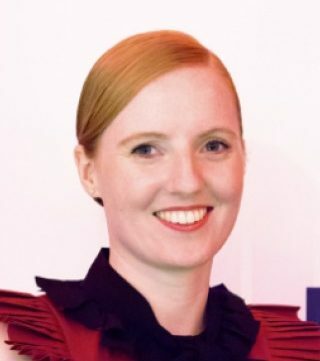 Despite her youth, Kitty is already well recognised for her exceptional leadership qualities and holds various management and leadership roles within the Coutts organisation. We met with Kitty to learn about her approach to leadership, why she believes empathy and resilience are such an important assets in modern business and how she gets the best out of her teams. Why do you think resilience has emerged as such an important quality in business? Resilience is hugely important in the modern workplace. Even getting a job is a small triumph. It took me 119 applications before I received an offer. That kind of rejection is hard not to take personally but when I look back I’m glad that it’s been a windy path. As they say, it’s the failures and challenges that teach you the most. How have you developed this resilience? How do you manage on those days where everything seems to be going against you? The first thing is maintaining perspective. If productivity is measured on a scale of 1-10 then most days are between a 4-7. If you experience a 4 then of course you’ll go home feeling frustrated but you have to remember that tomorrow you get to start all over again. I also believe it’s important to maintain a healthy schedule outside of work. Several years ago I started a WI in Guildford, called the Guildford Spike. It was about having a space and time that was entirely mine and where people didn’t know me in a professional capacity. We had police officers, teachers, PHD students and mums, and the age range spanned from 18-83. I learnt about hemming clothes and taught others about online banking. Having a variety of influencers like this in your life is really important. Among my friendship group I’m the only one that works in banking, and they make sure that my feet stay firmly on the ground. How have your challenges influenced your leadership style? They have definitely rounded my edges and made me more aware of the impact that kindness and patience can have on others. When I first started out I was very extremely focused, to the point of perhaps lacking a little patience and empathy. Experiencing my own setbacks have made me more understanding of others and a far better collaborator. I recently heard on Radio 4 that we tend to judge ourselves by our intentions and others by their actions. That really struck a chord with me and it’s something I’ve kept in the front of my mind. I’m trying to be more deliberate in how I choose to engage with people and more thoughtful in the feedback I give. That said, I definitely haven’t lost my competitive edge. I’m still desperate to win, but now I want to do it as a team. What other qualities do you think you’ve developed that have helped in leadership roles? I always put a big emphasis on inclusivity. I’m conscious that I’m an extrovert and I get my energy from others, but many people don’t work that way so I’ll try to avoid overwhelming them in meetings and ensure that I give them time and space to contribute in the way they feel comfortable. Some people like to reflect and make measured contributions and so they may need extra time. It’s a bit like conducting an orchestra. There are all sorts of instruments that each require a very different approach and somehow you have to bring them together in harmony. As a leader, how important is your technical understanding of the various skill sets throughout the team? My opinion is that you need a working understanding of each area. You’re never going to be an expert in everything but you need to be able to talk your team’s language and understand their challenges. What attributes do you look for in others when assembling a team? I look for an exceptional level of integrity, technical execution and client care. Some of them will be great leaders but they all need to be effective team players. It’s like the All Blacks; they’re all capable of leading but they’re also great followers. There is no ego, only the collective goal of the team. How much has your approach been driven by the organisational values of the company? Enormously. The values here are well understood by everyone and they shape everything we do. You can’t endure for 300 years without a strong cultural foundation. Thankfully my values and ethics are very closely aligned to those of the business. For me authenticity, loyalty and resilience have always been things that I’ve valued, so working here has enabled me to be the best version of myself. You can’t endure for 300 years without a strong cultural foundation. Your leadership style seems to be heavily focused on your ability to connect and empathise with others. Why is that? That’s the difference between being in charge and true leadership. Leadership is personal. It’s about an emotional connection. Nobody comes to work to do a bad job. As a leader you have a duty of care to support your team and help them get the best out of themselves. That said, I do hold people to extremely high standards. I don’t believe in micromanaging or doing people’s job for them. I set clear goals, ensure each person understands their role within the team and then step back and give them the space and autonomy to decide for themselves how best to execute. That’s when you see people at their most creative and resourceful. As a leader you have a duty of care to support your team and help them get the best out of themselves. Do you read much around leadership? Absolutely. I think I will spend a lifetime learning about how to bring the best out of others. As a millennial I podcast a lot. I’m always interested in gathering the perspectives of leaders across all fields. It’s not just about business. Desert Island discs is a favourite mine and I do love a good sports biography. I also find academics and scientists among the most inspiring for their laser focus and commitment to subjects that offer no guarantee of any great recognition, but they do it because they believe in the purpose.